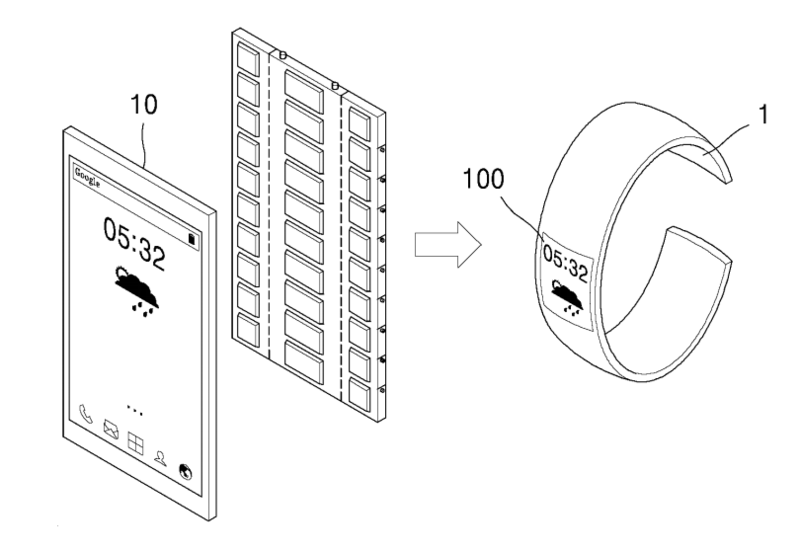 A patent application by Samsung Display published today in South-Korea shows a 3-in-1 device that transforms from a watch into a phone, and even a tablet. The device is based on a stretchable OLED display. The patent application ‘Device using stretchable display and controlling method of the same‘ was filed one and a half years ago at the Korean Intellectual Property Office, and shows a highly flexible display unit that can be folded together into what is essentially a smartwatch. It can then stretch into a phone, and ultimately fold out to become a tablet. 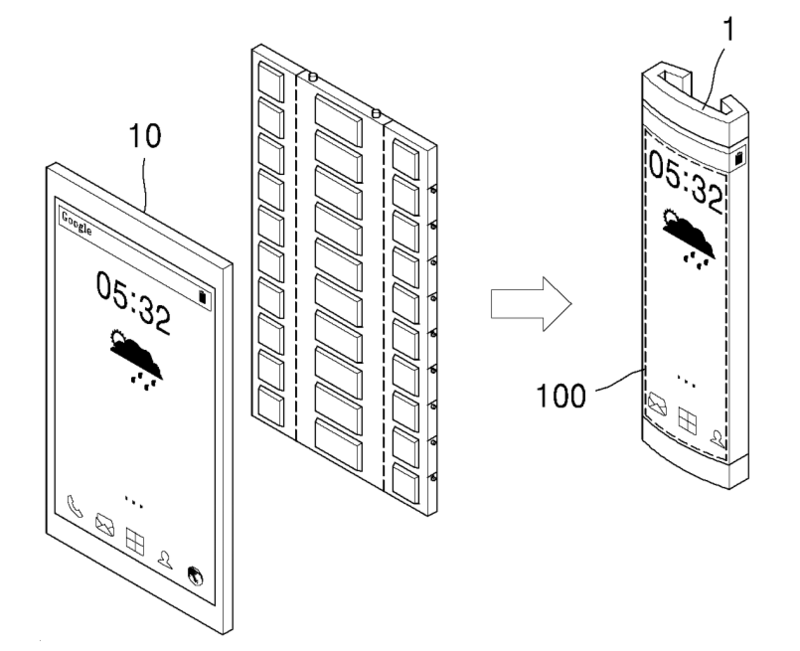 To achieve this, a display is used that can bend, fold and stretch into various shapes and form factors, making for one versatile piece of, as the patent explicitly points out, OLED technology. Samsung has filed patents for a stretchable display in the past, but this is the first one showing a more concrete application for such technology. Even so, what we see here is a concept much more than an actual product. At the moment, we’re still waiting for Samsung’s first foldable display phones to appear on the market. Rumors about a device codenamed Project Valley date back more than a year, and examples of Samsung’s foldable display were shown off even much longer ago – and as recently as last month. The first of those devices are expected to hit the market in 2017, so it’s easy to see we’re years away from actual products based on a stretchable display. What do you think? Does the future need devices that wrap around your wrist, but stretch into a phone or tablet when required?